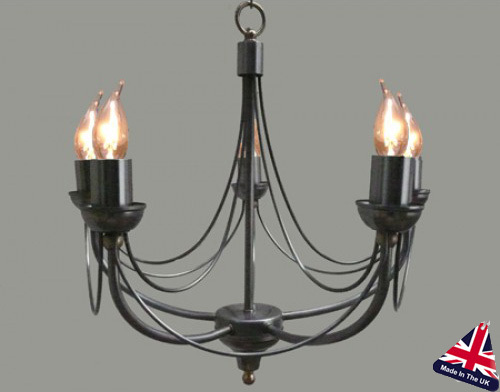 Wonderful and elegant 5-light chandelier shown here finished in black, with fine internal wire bracing and five sturdy outer cage arms, each with a metal candle pan and candle tube. Part of the Tuscany made in the UK wrought iron lighting range. Please allow up to four weeks for your light to be crafted and delivered.